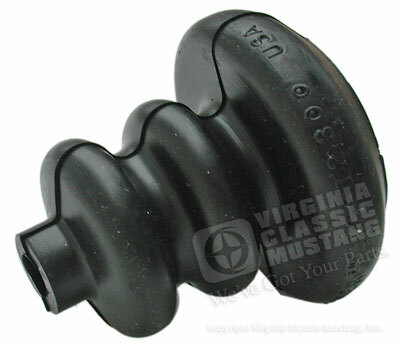 1965-73 Mustang Master Cylinder Rubber Boot. This boot fits on the back of the brake cylinder where the push rod goes in the cylinder. Dimensions: 2 inches tall, small opening is 1/4 inch, large opening is 1 1/8 inch.